Last updated by Entrata at January 8, 2019 . Even More Base Camp Excitement? Yes, Please! 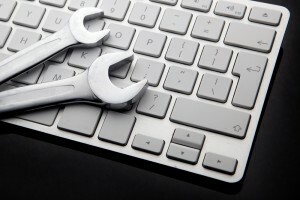 Is Your Maintenance Strategy Stuck in 1994? In your mind’s eye, go back to the year 1994. What was going on in pop culture? Forrest Gump was sitting on a bench talking about how life was like a box of chocolates and Simba was pulling a Hamlet in The Lion King. The original Playstation was released and we pulled all nighters playing Final Fantasy VI. Yikes! We’ve come a long way since ‘94, and so has property management software. If you work in property management, you know what it feels like to be busy. You’re a champion juggler, keeping dozens of balls in the air and balancing the needs of residents, owners, and staff. Here’s the question. Is your software just another ball to juggle, or is it an extra arm?